Photos of Schererville, Indiana, located in central Lake County at what is known as the ‘crossroads of America’; the intersection of US 41 and US 30. 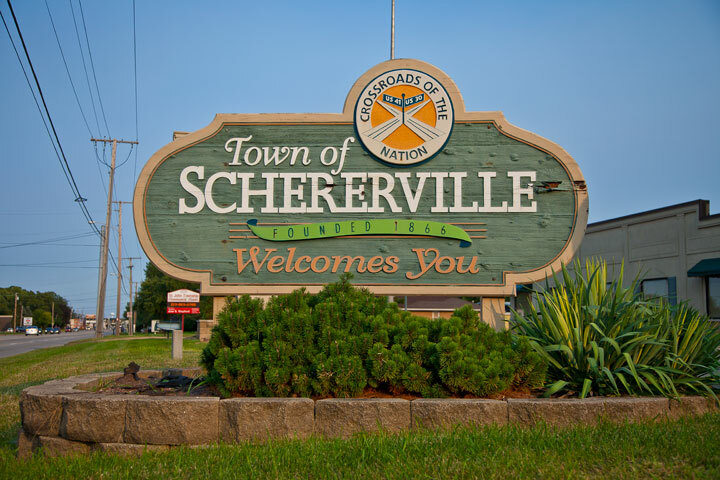 Schererville is growing year after year, both in residents and in business development. Residential development continues and new commercial development is growing quickly along the US 41 and US 30 corridors. The Shops on Main stores are open and bustling. Downtown Schererville is quiet and quaint with nearby Redar Park down the street. Popular photos of Schererville, Indiana include Redar Park, Rohrman Park, downtown Schererville, Hoosier Prairie State Nature Preserve, and more.